Unlock the potential of your Eclipse ETHA / ETHA LT Paintball Marker with the EMC (Eclipse Modular Components) Etha Rail Mounting Kit! This lightweight free-floating rail mounting kit allows you to adapt the Eclipse Etha/ Etha LT to virtually any environment and play style. Quickly interchange 3rd party attachments* to make your own effective loadout. 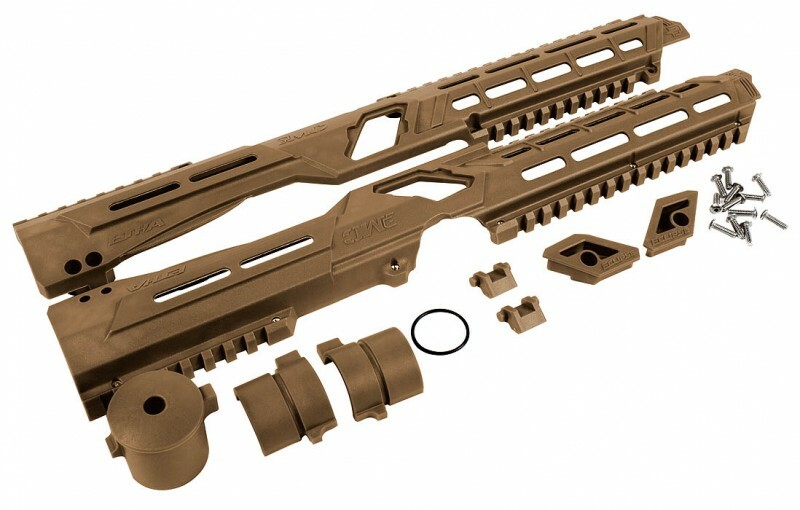 Along with built in 12 and 6 o’clock rails, the EMC Etha Rail Mounting Kit supports additional 11, 9, 7 and 5 slot Picatinny rail sections* so you can attach anything from flashlights, red dot sights to vertical fore grips and stocks all to its tough Glass Reinforced Nylon (GRN) construction.